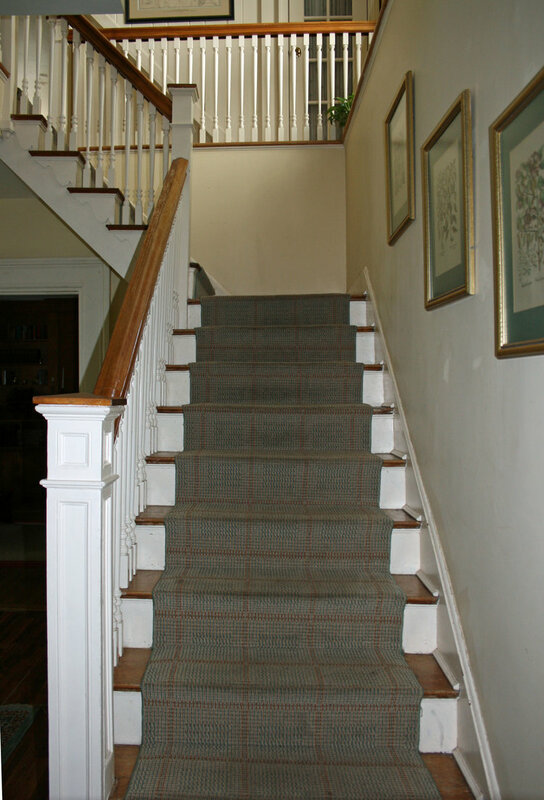 The main stairway in the entrance hall has two landings. A railing surrounds the stairway in the upstairs hall, which also gives a view to the entrance below. A second stairway is located in the rear of the house, by the back door entry. There are three steps leading up into the library and master bedroom area, and a narrow flight of stairs leading down the home economist kitchen.